How MPC created the titular hero of ice age drama Alpha using some cute breeds and a little VFX magic. You may not have heard of recent live-action ice age adventure Alpha, but this tale of a hunter-gatherer taming a lone wolf made use of some nice VFX and distinctly un-wolf like stand-ins in order to create the titular creature. These two Below and After shots below will show you what we mean. 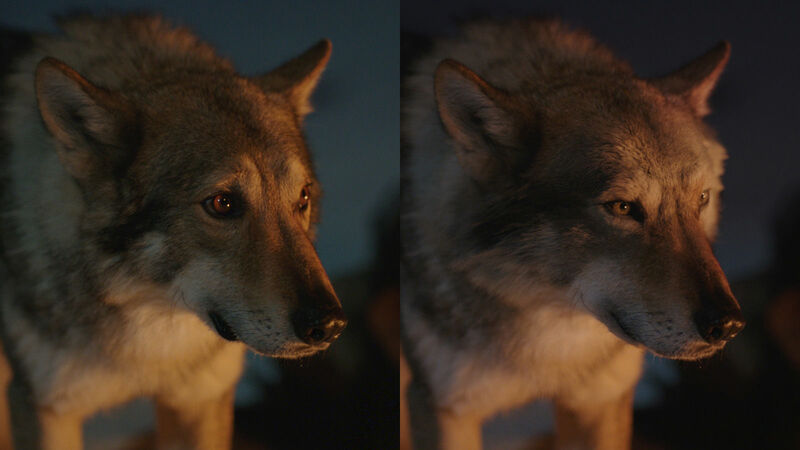 The effects were handled by VFX studio MPC, the masterminds behind Blade Runner 2049's seamless restoration of a certain returning android, who created a digital wolf for Alpha using a Czechoslovakian wolf dog called Chuck. Obviously Chuck wasn't used for the above shots of the baby Alpha, but you can see him in this nice Before and After below. MPC offered a variety of solutions on the project, including full take over where the full performance wasn't working, and facial performance enhancements where the intensity of a snarl or direction of the eye line needed to be changed. This was done by creating a digital version of Chuck using MPC’s proprietary software Furtility, which created its groom and rigged it with anatomically correct skeleton and muscles for realistic movement. 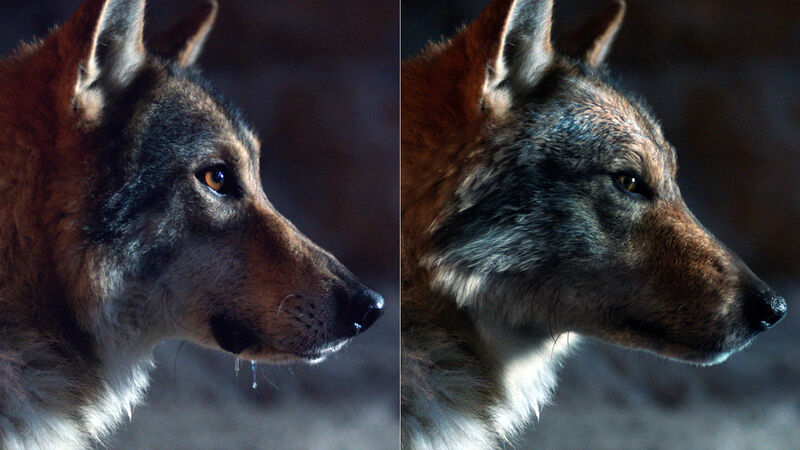 Here are some more wolf-tastic before and after shots of MPC's handiwork to enjoy. Not a Before/After, but a shot of some cute litter mates taken from the film. If you like this sort of thing, why not check out this site which collects totally adorable images of design studios’ office dogs?